PLEASE CONTACT US IF YOU ARE LOOKING FOR A SIMILAR BOX. We will endeavour to source one for you! FREE UK DELIVERY + £10 OFF YOUR 1ST ORDER. 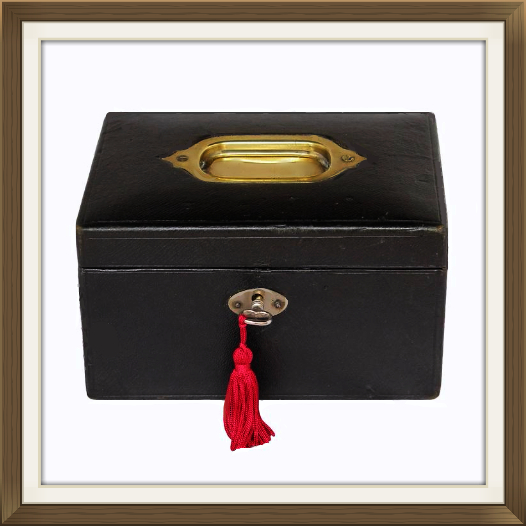 This is a beautiful antique jewellery box with a textured black leather finish. 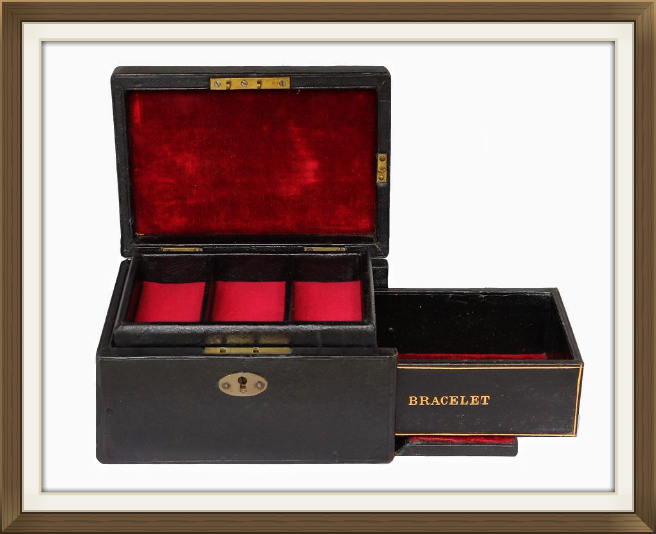 It has a rare and unusual drawer for bracelets, which slides out from the right hand side, and this is concealed by a drop down flap. The drawer has 'BRACELET' embossed upon it in lovely gilt lettering. It also has a shaped brass handle. Its interior is lined with deep red velvet, and so to is the inside of the drop down flap. The velvet linings are original. The drop down flap has a brass 'blind' lock. This locks the flap securely when the main lock to the front of the box is operated. The main lock is also brass and in excellent working order. 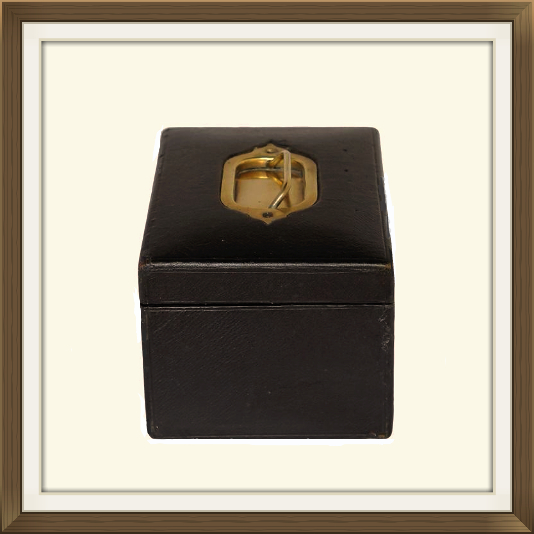 The box comes with a replacement key, the style of which is in keeping with keys from the Victorian period. Both locks are original. 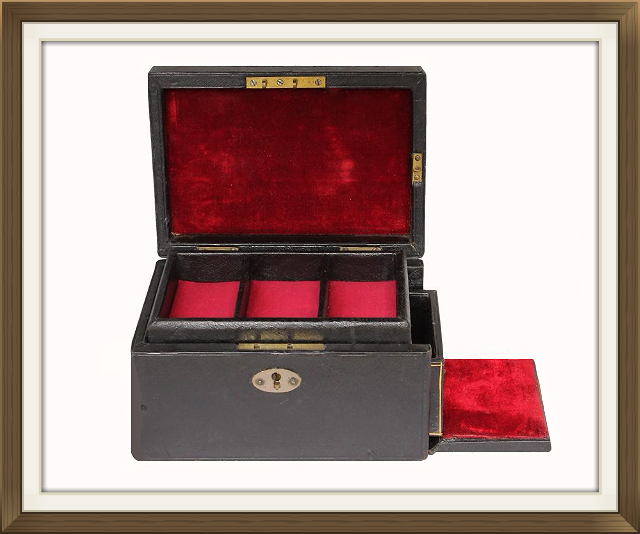 The top of the box has a lovely fixed tray with 3 individual compartments. These have been refurbished with new padded red silk panels. These compartments are ideal for small pieces of jewellery such as rings, earrings and chains. The larger and deeper drawer compartment is for bigger pieces such as bracelets and bangles, as intended. The inside of the lid has a padded velvet panel which matches the lining in the drawer compartment. Again original. 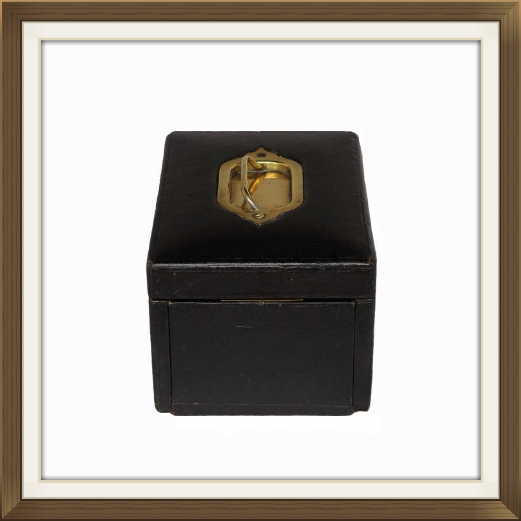 The lid is complete with its original brass stop hinges which prevent it from falling back. The main lock has a decorative white metal escutcheon, and the lid has a beautiful solid brass plate with lift up handle. These too are original to the box. 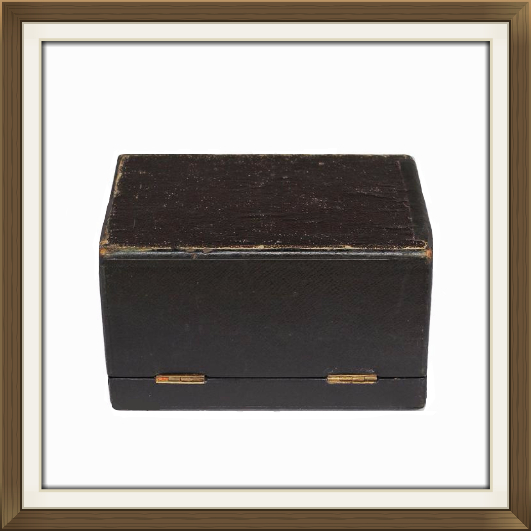 The box is in lovely antique condition for its 125 plus years of age. There is some age related tarnish to the brass plate and handle, and some wear to the leather finish. This wear is predominately on the bottom of the box, from where it has been moved around. The velvet linings are in excellent condition. No splits, bald patches, or fraying. The silk panels in the top tray are perfect, being new. The locks are in excellent working order. Please use the following measurements to ensure the box is the right size for your requirements. 14 by 8.3cm with a 4.8cm depth. Centre: 8.6 by 4.5cm with a 2cm depth. Left & Right: 8.6 by 4.3cm with a 2cm depth. Postage is FREE within the UK by Next Day Special Delivery. International postage is £25 by Royal Mail International Tracked. 15% off Vintage & Antique Jewellery on our sister site, The Antique Jewellery Shop. Enjoy a 15% customer loyalty discount plus free next day delivery. Enter discount code D15 at checkout.